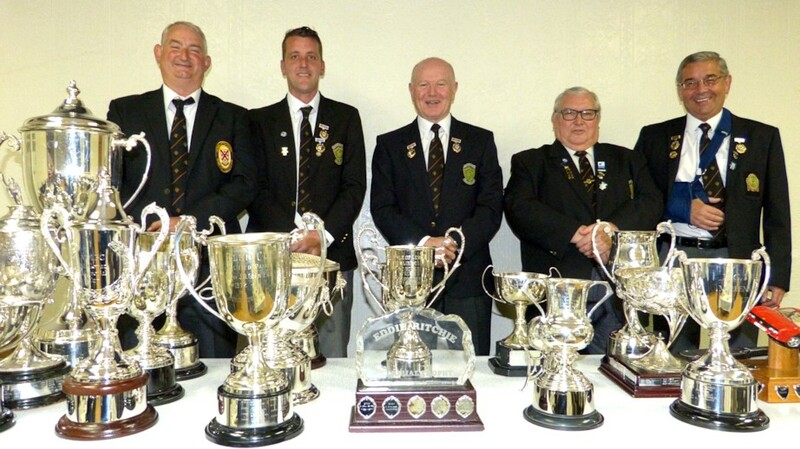 The 2018 Annual Supper and Presentation of Prizes was held in the clubhouse on Friday 12 October. President Irwin Barnes welcomed his guests with drinks in the Committee room before they took their seats in the function room. He then introduced his top table guests, David McCarry from Renton BC and Ian Marshall from Rock BC represented the Dumbarton Associated clubs, Vice President Duncan Stott, Honorary member Bryan Weir, Honorary President James McKinnon and Donald Beck of Eastfield Bowling Club. Dinner was then served. Once again the excellent meal was prepared and served By Robert Mills's team at Venue Catering and enjoyed by all in attendance. After an interval we had our chairman, President Irwin Barnes's remarks. This was followed by an excellent, entertaining and well received toast to the Vale of Leven Bowling Club by Donald Beck. After the President's reply to Donald's toast we progressed to the actual Presentation of Prizes by Honorary Vice President Jim McKinnon. This is when our prize winners were rewarded for their efforts during the 2018 season. 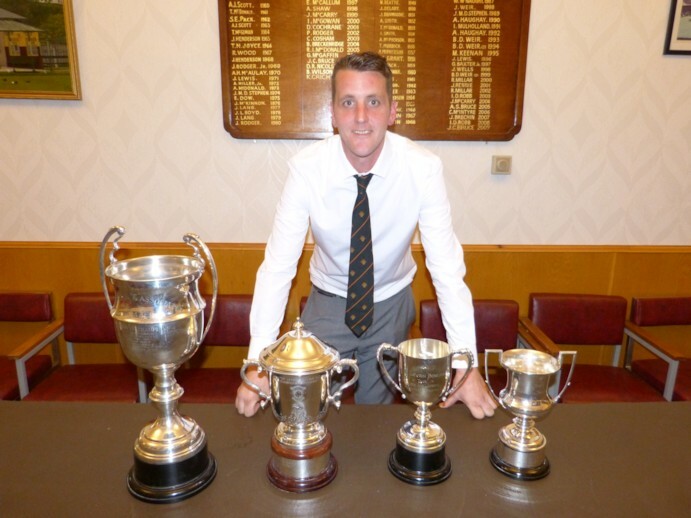 Alan Bruce was our champion in what was a very successful year for him as he also won the Brock Cup, Two Bowl Singles and the DAC Champion of Champions. Colin McIntyre beat Alan in the final of the President's and Vice President's trophy stopping him from winning all four singles trophies, a feat which I think would have been unprecedented in the history of the club. After the presentation Kenny Crichton proposed the vote of thanks before the official proceedings for the evening were concluded. As usual, many of the members and guests then continued what was another successful presentation with more drinks and craic in the lounge. Thanks to all who made this evening possible. The Fixture List is now available for 2018. Clubs will only play on 4 of the 5 dates with the League Final on Mon 6th August at a neutral venue. DAC Host Game - Friday 17th August 630pm start at Dixon BC. Champion of Champions round 1 & 2 - Sat 1st Sept at Rock BC. Champion of Champion S-Fs & Final - Sun 9th Sept at Dixon BC. 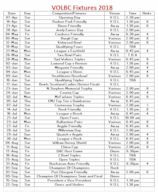 The 5 4s dates, venues and clubs competing will be published as soon as we have the dates of the games.